Global Blockchain Ventures visited Rong Chen, founder and chairman of the Elastos foundation, and his development team in Shanghai in November 2017. We sat down with Rong to discuss the next technological frontier that needs to be captured in order to make the distributed web a reality: Operating systems and peer-to-peer protocols. Global Blockchain Ventures: Can you tell us about the motivation behind Elastos? Rong Chen: I think the internet as we know it today is broken. Broken from a cybersecurity point of view. For example, according to Kaspersky Labs, on peak days we can see about 1500 individual Distributed Denial-of-Service (DDos) attacks every day. Some of these attacks last a whole day. What worries me is that we are now moving to build really safety-critical applications on top of this “broken” infrastructure. Global Blockchain Ventures: So Elastos will be an operating system that is run by distributed nodes, is that correct? Rong Chen: Yes, Elastos runs on virtual machines by distributed nodes. Elastos has three fundamental pillars. First, there is the Elastos runtime which allows developers to build truly distributed apps on the one side and on the other side abstracts away any direct access to the network from the application. This is a key concept to make the network secure. There is no need for concepts such as drivers or sockets, apps are prohibited by design to directly access the network. Network access is managed only by the runtime. Second there is the the Elastos Peer-to-Peer (P2P) Network, a set of P2P protocols that will enable efficient data transfer between distributednodes, such as video and audio streaming or text messaging. The third pillar is the Elastos interface to public and private blockchains. This will allow Elastos computers to access services such as settlement or identify verification on blockchains. We are collaborating with the teams of existing blockchains to have interfaces to their systems. Global Blockchain Ventures: Can you tell us in what stage of the project you and your team are? Were you able to build a prototype of the three pillars that you mentioned? Global Blockchain Ventures: As you have witnessed the rise of the internet when you worked for Microsoft in the 1990s, what gets you excited about the distributed web when you compare today to the times back then? Rong Chen: I think we are living in very exciting times. The internet we developed in the past decades is not up for the new challenges that will emerge from the mass-scale deployment of safety-critical applications, such as the autonomous cars we discussed. Blockchains will provide identity authentication and settlement, and now is the time for a paradigm shift to a much more robust network on top of that, a network without DDoS attacks, a network where nodes have no direct access to the communication channel but an operating system will manage that. That new type of network will be distributed and I hope that Elastos will play a key part in this. I would like to invite the international community to come and check out our project. When was the last time you could contribute in building something that big? I was at the first Linux conference by Linus in Seattle in the early nineties, and I remember how excited I felt back then. I feel now is a similar time. Rong graduated from Tsinghua University, Beijing, in 1982. He received a MS degree from University of Illinois at Urbana-Champaign in 1987. Rong was a Microsoft veteran in the early days of the internet from 1992 to 2000. He collaborated in the development of a wide portfolio of projects at Microsoft, for example OS research, IE3 ActiveX, Ole Automation, ECOM, .NET. Rong founded his own company Kortide Corp in 2000 following his long-standing dream to create his own operating system: Elastos. After 17 years, Rong believes that the smart-web powered by the blockchain is the future for Elastos. 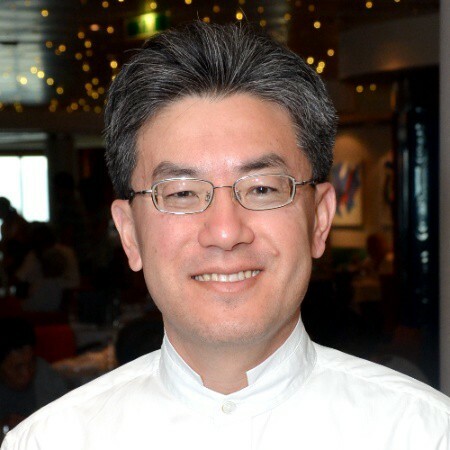 He established the Elastos Foundation with partners in June 2017. Elastos is the world’s first Internet operating system focusing on re-decentralizing Internet with blockchain to secure identity. Utilizing the Internet as the base-layer infrastructure rather than as an application, the Elastos approach emphasizes that network communications should be separated from application computing, and prohibits apps from direct access to the network to prevent viruses and other malicious attacks such as DDoS. Elastos is an open source system with over 4 million lines of original source code, and has received significant investment from the Foxconn Group, NEO, and other industry giants for its R&D. Supporting programming in C/C++, Java, and HTML/JS, Elastos facilitates the new generation of universal apps running anywhere, including AR/VR headsets, IoT gateways, PCs, and cloud servers. In summary, Elastos focuses on a new internet that is secure, credible, and smart. Apps cannot connect directly to the foundational internet layer or endanger it in any way. Blockchain disruption of third parties enables transparency for apps, IoT participants, and IP. Lastly, this blockchain-powered internet creates a smart economy enabling data rights and secured through ELA token & Bitcoin merge mining.